Skater Code of Conduct - skatemorrisburgs jimdo page! 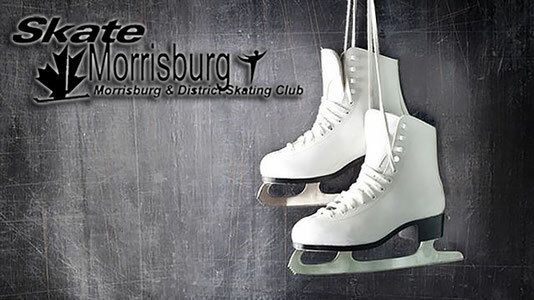 The Morrisburg & District Skating Club expects each skater to act in a courteous and considerate manner and to skate safely. Be aware of other skaters at all times. Make sure you can see skaters around you – when skating backwards & leaving the boards. Learn other skater’s “traffic patterns” – learn to maneuver skillfully around other skaters. Show respect to all skaters and coaches. Be polite at all times! Encourage your fellow skaters in a positive and supportive manner. Avoid whenever possible, skating in an area where another skater is receiving a private lesson. Right away of is given to the skaters’ whose music is playing and the skaters that are in lesson. Skaters should politely call out “Excuse me” or “Heads up” to let other skaters know they are coming through for safety. Get up quickly after a fall (if you are not hurt). Practice spins in the center of the ice and jumps and field movements at the end of the ice. Avoid practicing in the same spot. Use the entire ice. Skaters are expected to be practicing at all times. Avoid socializing & hanging out by the boards while on the ice. Use your ice time for practice. Group practicing should be limited unless permission is given from a coach. Foul language or yelling, abusive or aggressive behavior including kicking the ice is prohibited on the ice. Hair should be neatly tied back while skating. Avoid food, drinks and gum on the ice. Only water is permitted at the boards. Skaters are responsible for repairing any holes in the ice that they make. Rink doors must be kept closed at all times. Skaters should leave the ice when speaking to someone in the stands as their attention is not on the safety of skaters around them. Free skate is not permitted during dance/skills sessions unless in lesson with a coach. Skaters must change in the Change Room. Please avoid changing in the lobby. Respect other skater’s belongings. Do not move another skater’s personal items. Keep change rooms neat and tidy. Foul language is not permitted in the change room. Avoid leaving valuables in the change room.